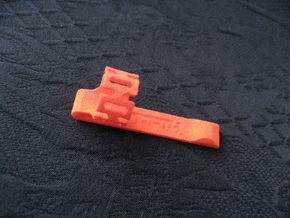 I present my pen refill adapter, for use in pens that take the Ballograf Original type ballpoint refill. 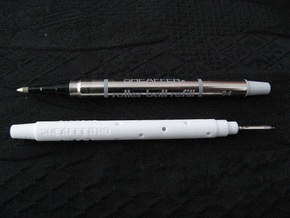 It allows such pens to use the Uni SXR-80 refills instead (not included). 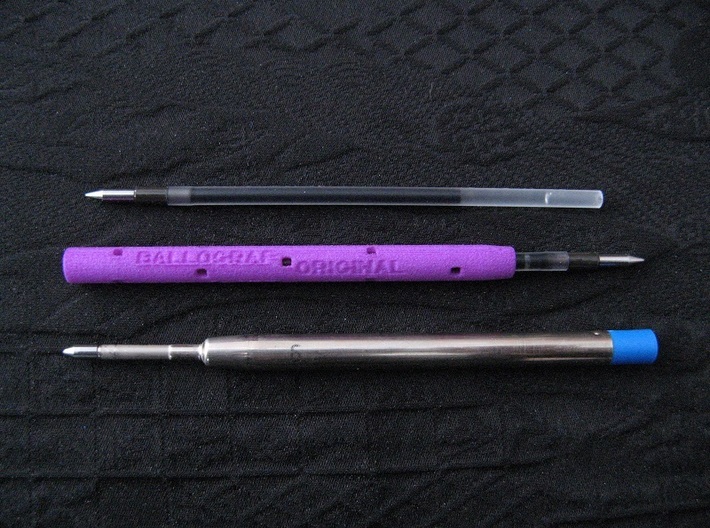 The Ballograf Original refill is around 96mm long and 5.8mm in diameter. 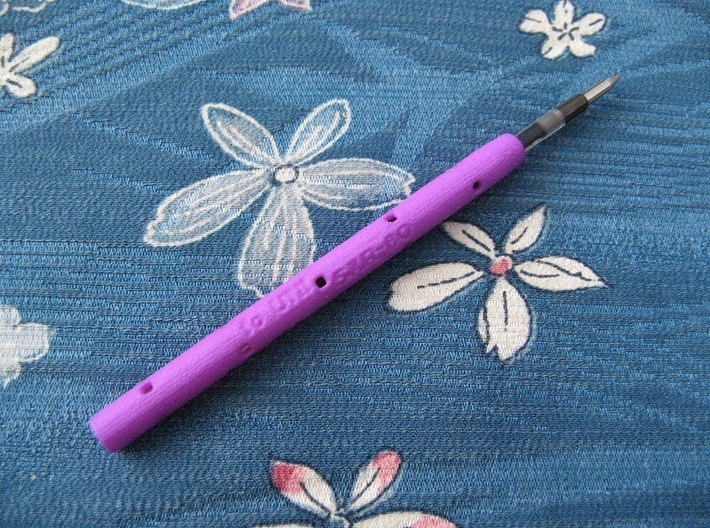 The Uni SXR-80 refill is around 88mm long and 3.1mm in diameter. Other suitably lengthed refills are the Tombow: BR-CL, BR-CLE and BR-CS2. 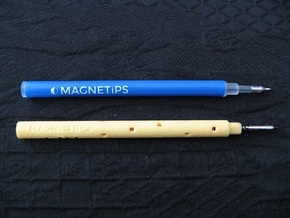 Refills that have a 3-3.1mm tube diameter should also be suitable for use in this adapter, such as: The Zebra Surari EK, Pentel Sliccies XBGRN, Uni Signo UMR-109 and Pilot Hi-Tec C Coleto. 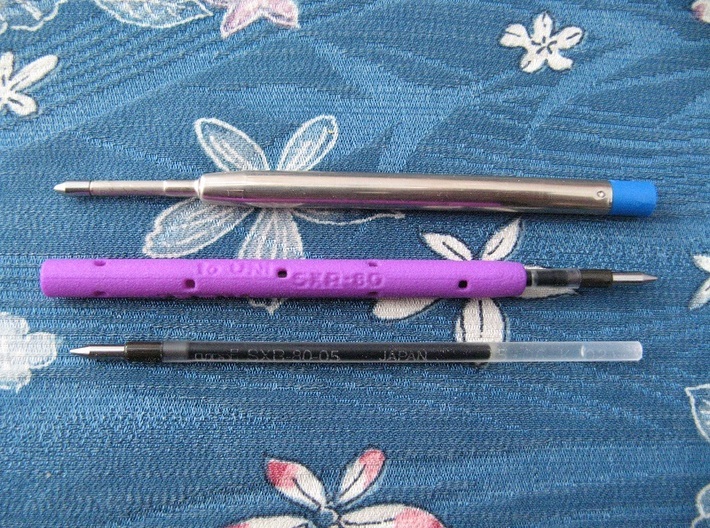 However, these refills are usually longer at 98-99mm long, except the Pilot Coleto, which is 93mm long, so some trimming of the plastic tube with a craft knife would be required, to make them the same length as the Uni SXR-80 (88mm). 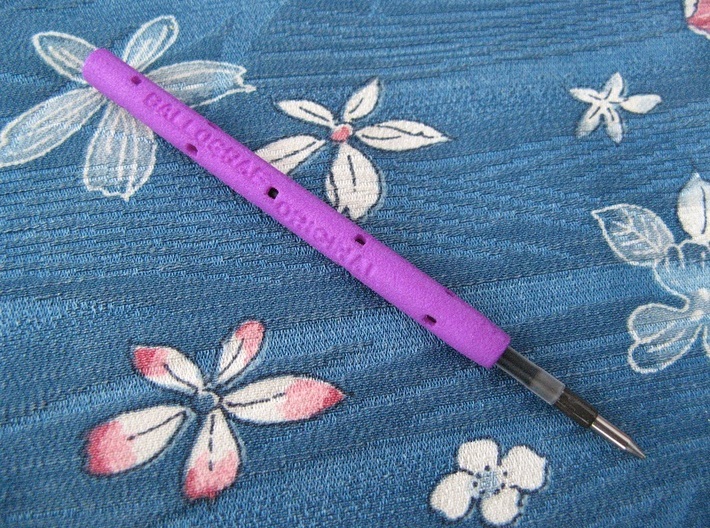 Due to the very varied nature of pen design, I cannot guarantee that this adapter will work with any specific pen, although I've made every effort to make it as universal as possible. The neck of the Uni SXR-80 refill is wider than the Ballograf Original (3.1mm vs 2.6mm), so this may be an issue in some pen bodies.